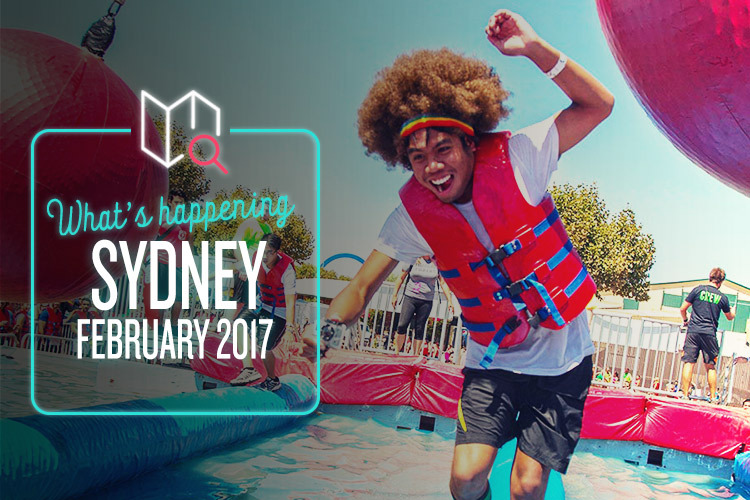 A new month means new adventures, so let’s see what Sydney has in store for us all this February. Returning for its seventh year of shenanigans, the Roc Race is always a guaranteed blast. Inspired by shows like Wipeout, this Ridiculous Obstacle Challenge is something you’ll never forget. Dodge the Wrecking Balls, scrabble over the Badger Walls, duck the Sweeper and shoot down the Aqua Drag, before finishing up with the four-storey-tall waterslide known only as ‘The Hippo’. Over 500,000 people have tackled the course to date, and there’s simply nothing else like it out there. Laneway has been one of the country’s coolest music festivals since 2005, and it certainly ain’t slowing down now. This year’s line-up features all sorts of up-and-coming acts from near and far, including Julia Jacklin, Glass Animals, White Lung, Tourist, Mick Jenkins, NAO, Bob Moses, and King Gizzard and the Lizard Wizard (best band name ever). Whatever you’re into, there’s plenty on offer to guarantee a good time. Many of Sydney’s greatest food vendors will also be in attendance, so it’s a treat for the taste buds too. The green-fingered geniuses at Forest Life have gone from strength to strength ever since they first blossomed onto the Sydney horticultural scene with their gorgeous custom terrariums. In fact, they’ve now become so popular that they’re moving into their own nursery, and the grand opening promises to be an event to remember! There’s a huge plant fair, talks from professional horticulturalists, tons of terrariums to see and buy, and plenty of tea, cakes and sandwiches to keep you going as you wander the jungle. Whoops – you didn’t forget Valentine’s Day was coming up, did you? Lucky for you, we’ve got your back. Treat your date to something a bit different this year, and take them to The Red Picnic for a unique and romantic day out. This secret, secluded event is held in one of the harbour-side parks (you have to sign up to find out which), and there’s all sorts of red-themed goodness going on. Wear red clothes, bring red food, sip red drinks, play red games… It all sounds awesome, so you’d better get red-dy (sorry, couldn’t resist).